Many people, especially car enthusiasts, have old rims sitting in their garage. If this sounds like you, wouldn’t you rather turn those old wheels and rims into cash? Before you jump over to the nearest salvage yard, make sure you keep these tips in mind so that you can approach it the right way and get the most out of your rims at a salvage yard in Montcalm, MI. 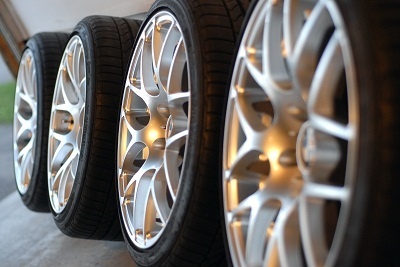 Before you take your wheels in to sell them, make sure you know the approximate value of the wheels. For instance, are they factory wheels that came with your car, or are they aftermarket wheels that you purchased after the car. If you aren’t sure whether they are original or aftermarket, check the brand on the center cap. Aftermarket brands will have a brand different from the car brand on the cap. Check pricing on a few online websites to determine their real value. Some salvage yards and wheel shops will only buy original factory wheels and rims, and normally won’t take aftermarket products. Call around and talk to a few salvage or recycling yards about what you have to determine who will be willing to give you an offer for it. When calculating the value of your wheels it’s important to take into consideration the condition they are in. You may have valuable rims that in brand new or great condition would be worth a decent sum. However, if they are scratched up or have curb rash on them, they may not be worth nearly as much as you think you should get for them. It’s good to be realistic about what you can get for the wheels in their current condition. If they are in poor condition, then they may only be worth their weight in the metal alloy they are made from (steel, aluminum, etc.). If you choose to sell a car to a salvage yard in Montcalm, MI, you can get some pretty good money for your vehicle whether it’s running or not. But if you’d rather just sell the rims of your car, you can do that too. If you decide to do that, be sure to keep these tips and checklist in mind to get the best deal possible.